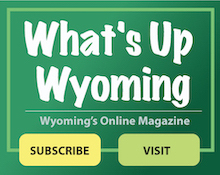 The City of Wyoming and Wyoming Recreation Department continue to bring new activities and events to Wyoming while offering events that are cherished year after year. Listed below are events that take place in 2018. The annual Art Show is held every year on the third Sunday in May along the tree-lined streets of Worthington Avenue and on the grounds of the Civic Center. Over 125 regional fine arts exhibitors are selected to participate in the booth sales and competition. At the close of the show pieces are professionally judged and cash awards are presented. The Wyoming Art Show is operated by a volunteer group of Wyoming residents, with the City of Wyoming providing invaluable support, services, and space, 11:00 a.m. – 5:00 p.m.
Wyoming hosts a number of Summer Groovin’ Concerts on the Village Green and Civic Center with live music, craft beer, wine, and food. Check back soon as we start to book the acts for 2019. The Annual Fourth of July celebration is the most popular event and tradition that overflows with small town flavor. A new theme is chosen each year and carried through the day’s events. The 2018 theme was “America’s Super Heroes”. The morning parade features neighborhoods competing for who carried out the theme best. In the afternoon, many neighborhoods take advantage of this opportunity to get reacquainted by organizing a block party. At dusk, a live band plays music and refreshments are available. The City lets off a firework display as the grand finale of the day. For more information about The City of Wyoming’s Fourth of July Celebration, call 513.679-4640 or email. As part of the Fourth of July celebrations in Wyoming, The Muddy Pig is becoming a very popular annual event. Families from toddlers to grandparents get to roll through mud filled obstacles at North Park for an afternoon of good clean fun! The Muddy Pig is a fundraiser benefiting the Wyoming Police Department’s community outreach programs. July 4, 2019 1:00-4:00 p.m. Village Green is the best place to have some yappatizers, music, fun for the kids, and more while your dog makes some new friends. Dogs of all sizes and breeds welcome. Come and enjoy doggy events, vendors, and contests…while socializing with your friends and neighbors. The Recreation Department supplies pumpkins to be selected at the Civic Center’s pumpkin patch to be painted and carved at this annual event. This event includes various games and snacks for the entire family. October 20, 2019 1:00-4:00 p.m. This is an annual family friendly custom event for local dogs and their people includes agility demonstrations, pet-themed vendors, refreshments, raffles, and prizes in various categories for dogs. October 20, 2019 1:00-4:00 p.m. during the Halloween Hoopla, parade starts at 2:00 p.m., Wyoming Civic Center. Fall Festival is an annual event on the first Saturday in October. The Festival began as a small effort and has grown to be a large festival, shutting down Wyoming Avenue. Many vendors line the streets of Wyoming Avenue’s business district, selling crafts, food, art, and more. Live music and entertainment is carried on throughout the day at the gazebo in the Village Green Park. For more information about Wyoming’s Fall Festival, please call 513.679-4640 or email. Email Laurie Rusnak for a booth application. October 5, 2019 10:00-5:00 p.m. This annual event is sponsored by the Wyoming Firefighters Association on the Friday and Saturday prior to Thanksgiving at the Civic Center. For more information, please call 513.821.6836. Kick your holiday shopping off to a great start with a day of shopping that supports your local vendors. Watch as the Civic Center is transformed into a holiday bazaar. Shop for jewelry, personalized stationery, monogramming, spirit wear, and lots more! Enjoy holiday music and food at this event. Interested in becoming a vendor? Contact Laurie or call 513.679.4640. December 7, 2019 10:00-3:00 p.m. Featuring the Christmas Walk, Holiday Open House, and JWC Light Up Wyoming – The City of Wyoming and Junior Woman’s Club “Light Up Wyoming” will join together for a spectacular holiday event. Family and friends can join together for an exciting evening featuring horse drawn carriage rides with pick up points at the Village Green and at the Civic Center. Stop by Wyoming Avenue to visit Santa in the Gazebo, do some holiday shopping, enjoy holiday music, watch the amazing ice carver, and grab a bite to eat. Welcome the sites and sounds of the holiday season at the Civic Center which will feature holiday music, dance, desserts, hot chocolate, and more! Make a gingerbread house too! Join this exciting holiday tradition that shows community spirit and will “Light Up Wyoming!” For more information contact Laurie Rusnak by email or call 679.4640.